I'm passionate about food, people, history, our amazingly diverse region, and how farming, chefs, and eateries have had a sweeping effect on the global food movement. I wanted to find a way to create real, delicious memories for food lovers and travelers to experience the best of San Francisco and the SF Bay Area. When I travel, I want to know the best places to eat and explore the not-to-be-missed restaurants, markets, and unconventional eateries - and very often, it's the hidden gems not found in any guide book that are the most satisfying. This is why my knowledgable food industry guides and I share iconic foods, architectural landmarks, local lore and history, and the stories behind the chefs, growers, and innovators who make the Bay Area's culinary scene great. People love being our guest on Edible Excursions tours. They often tell us it was the highlight of their trip, their social event, or their team building adventure. We love showing off our amazing cities - San Francisco, Berkeley, and Oakland - and we are proud to call the Bay Area home. We look forward to having the opportunity to share it all with you! 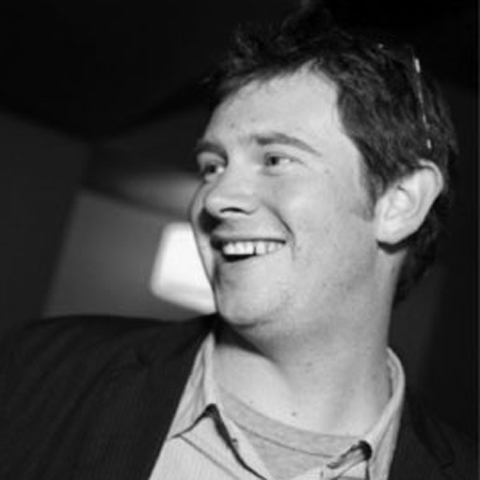 Since 2004, Edible Excursions has been an award-winning walking food tour company offering culinary experiences throughout San Francisco, Berkeley, and Oakland. We also create custom food tours for private parties like birthdays, bachelorettes, and social clubs, and corporate team appreciation and team building experiences. We are proud to be 100% locally owned and operated, and a woman-run business. We got our start taking guests of the Four Seasons Hotel around town to meet local chefs and taste the best of the region. It is this commitment to five-star customer service and client accommodation that makes us the best food tour company in the region. Edible Excursions’ explorations take place in neighborhoods where small business owners, artisans, purveyors, farmers, and restaurant chefs share their personal food stories and their passion for local, seasonal, sustainable food. And, of course, along with learning about each area’s culinary and cultural background, guests are treated to signature tastes from seven to nine different stops along the way. Many of our guides have been with the company since our start. We don't use scripts, and no two tours are ever exactly alike. Every food and drink tour we take on has its own character, charm, and experiences. Our guides are knowledgable, engaged, and accomodating. We are all food industry professionals - food TV alumni, chefs, award-winning food writers, and longtime restaurant workers. Lisa Rogovin brings more than 20 years experience in worldwide culinary exploration to Edible Excursions. A longtime California resident, she has a vast knowledge of the Bay Area’s acclaimed food culture. Lisa lives in the epicurean mecca of San Francisco, with her husband and two children, adventurous eaters all. 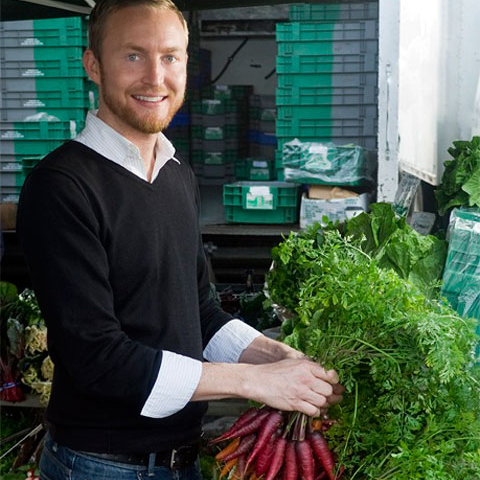 Joshua works as a private chef through his company Urban Provisions, he co-hosts yoga retreats on the California coast, and he leads health and well-being-inspired culinary classes and food and wine pairing events in the SF Bay Area. Emunah believes food illustrates more about a place than any other lens. She loves sharing backstories about food neighborhoods, cultures and businesses and is grateful to live in a region known for its revolutionary approach to eating. A local food writer and farmers market fan, Sarah is delighted to introduce guests to the delicious, diverse tastes of Oakland. She is the author of Farmsteads of the California Coast, a tribute to a dozen of the Golden State's most respected sustainable growers. And she teamed up with chef Preeti Mistry to co-write her memoir with recipes The Juhu Beach Club Cookbook: Indian Spice, Oakland Soul. An Edible Excursions partner, Juhu served pavs to the people in Oakland's Temescal neighborhood for five years. Find Sarah's stories here or on Twitter @sjhenrywriter. Alice Kawahatsu is a 3rd generation Japanese American who was born and raised in San Francisco. 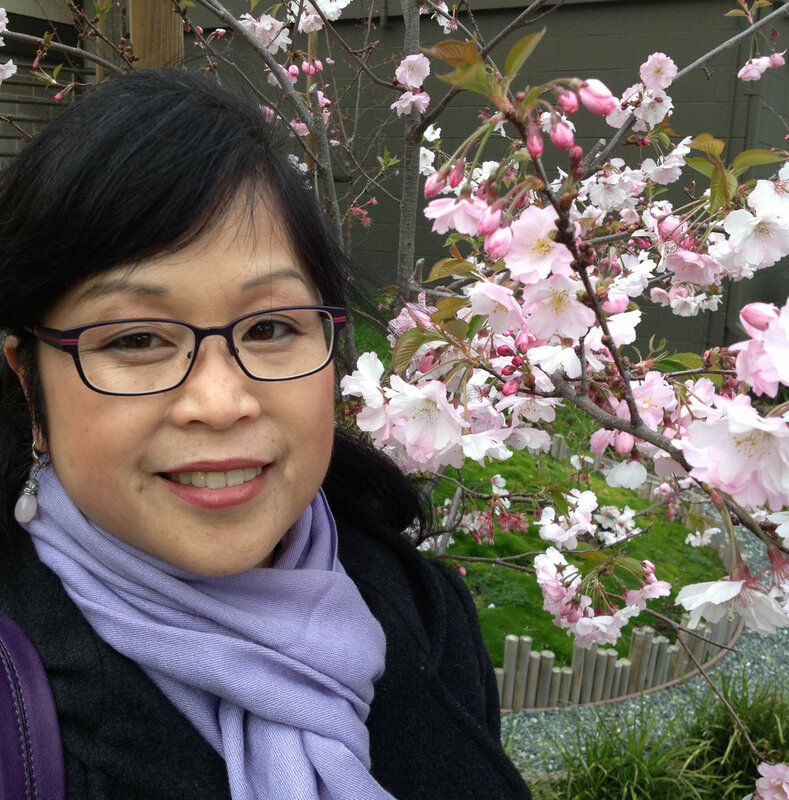 For the past 25 years she has been active in the Japantown community. You can often find her volunteering at the Japanese Cultural and Community Center of Northern California (JCCCNC) and the Konko Church of San Francisco. She enjoys passing down the culinary lessons she has learned from J-town elders to younger generations, visitors to San Francisco, and the greater Bay Area. 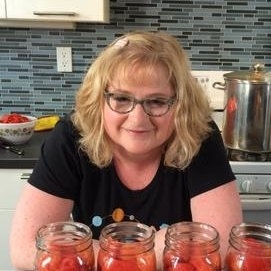 Karen Solomon is the author of Cured Meat, Smoked Fish, Pickled Eggs; Asian Pickles, Jam It, Pickle It, Cure It, and Can It, Bottle It, Smoke It, a contributing author to Chow! San Francisco Bay Area: 300 Affordable Places for Great Meals & Good Deals and a former contributing editor to Zagat Survey: San Francisco Bay Area Restaurants. A Mission District dwelling food writer, her edible musings have appeared in Fine Cooking, Prevention, Yoga Journal, Organic Style, San Francisco Chronicle, San Francisco Magazine, San Francisco Bay Guardian, and elsewhere. Tori Ritchie was born in San Francisco and has been eating her way through the city ever since. A cooking teacher and cookbook author, she is always on the lookout for the best things to eat and share on her website, tuesdayrecipe.com. Her pet peeve in the kitchen is grating cheese; her favorite kitchen tool is a rubber husband (feel free to ask). 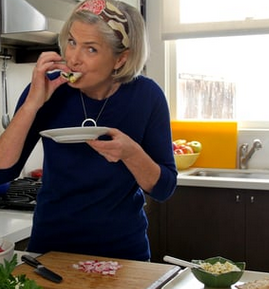 Her articles have appeared in Bon Appetit, San Francisco magazine, the San Francisco Chronicle, and Stanford magazine, among others, and her latest cookbook is The Side Dish Handbook. She is a regular volunteer at foodrunners.org, relaying excess food to the needy. When she’s not writing about food, she’s probably thinking about it while stand-up paddling in San Francisco bay. A long-ago transplant to California, Carrie was drawn to the Bay Area by the amazing food and agriculture. 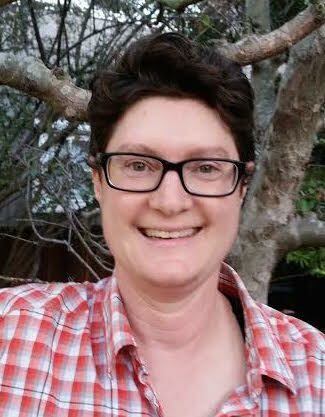 Formally trained, she has managed catering events, specialty food retail stores, cafes and restaurants for small businesses and non-profits, and has been the Culinary Programs Manager for CUESA since 2014. Carrie adores sharing the bounty of the Bay Area food scene with visitors from near and far. Sean Timberlake has two loves: Food and San Francisco. Luckily, he doesn't have to choose between them. As a volunteer tour guide and former board chair of San Francisco City Guides, he gets to wax rhapsodic about his favorite city, where he's lived since 1991. As a writer, his work has appeared on FoodNetwork.com, CookingChannelTV.com, Blackboard Eats, SFWeekly, and Foodzie (now Joyus Food). He is the founder of Punk Domestics, a site for devotees of DIY food, and writes the blog Hedonia with his husband, Realtor dpaul brown. Rebecca is always excited to share her passion for culinary and cultural exploration. Leading food tours allows her to offer up the deliciously rich history and food culture of the Bay Area, her home for nearly half her life. A chef and anthropologist, Rebecca is committed to the local, sustainable, and organic food movement. She was a member at the Juice Bar Collective in North Berkeley for many years, and now, when not leading tours, works as a personal chef and is available for regional Mexican cooking parties through Edible Explorations. A native to San Francisco, Santino is a local artist, actor and experienced eater that fervently believes food is what brings people together and solves the world's problems. If you are what you eat, Santino is a "ham". Having lead food tours professionally for over 4 years, and having run a concierge & hospitality program for a recording studio, Santino is excited to be sharing San Francisco's unique cultural story while showing off its tasty cultural treasures.